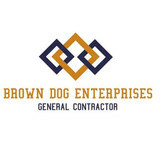 We are very excited to announce that Brown Dog Enterprises can now offer Home Inspections! Buying or selling a home can offer many challenges. The inspection process shouldn't be one. Whether you are buying or selling, we can provide a clear, thorough and fair inspection report. Remodeling can be a challenge. You need your contractor to not only understand your project, but how the process is going to affect you and your family. We pride ourselves on our ability to work with, and around, our clients. 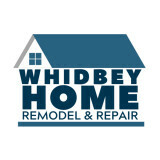 Be it a small repair or a full scale remodel, we will work with you to create a schedule that works for everyone. When you are thinking about a project, you need information, and you need it in a timely fashion. We won’t keep you waiting for weeks. You will receive a thorough, complete estimate in a matter of days. We also understand that it is a process, and you will have questions or changes. We will continue to get you the information you need as quickly as possible. If you are in the process of buying or selling a home, we can help there as well. From prepping to sell, or working on inspectors lists, we will get in and out quickly. Having flipped many homes, we have an understanding of how to make your home shine! With over thirty years in the business, we have the ability to take on almost any type of project. If we don’t, we can point you in the direction of someone who can. Our core belief is that everyone in involved in a project has a common goal. We work very hard every day to achieve that goal. We are a veteran owned, local small business that does a wide range of repairs, installations and upgrades from the roof to the foundation. Mr Fix it Home Solutions Inc.
General contractor and all around handyman. Exterior & Interior designer and builder specializing in outdoor living areas and interior remodeling. Sammamish Locksmith offer fast, professional and affordable locksmith services. Our locksmith team provide complete range of residential, commercial, and automotive locksmith services. Our locksmith services also available as an emergency 24 hours a day, 7 days a week. Feel free to contact us 24/7 with any question or request. 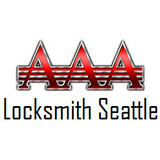 Our locksmith services in Sammamish WA include: Emergency lockout service, New lock installations, All types of lock repairs, Master key systems, Mailbox locks replacement, High security locks, Panic Bar and Exit Device, Ignition repair and replace, Car key replacement, Locks rekey service, Commercial locks, Garage door service, Custom needs, And More! What can a local Kirkland handyman do? While home handyman services in Kirkland, WA usually cover most of these things, sometimes it’s better to hire a specialized professional so do certain jobs, especially if it’s related to major plumbing or electrical fixes. Here are some related professionals and vendors to complement the work of handyman: Heating & Cooling Sales & Repair, Plumbers, Electricians, Roofing & Gutters. Find a Kirkland handyman on Houzz. Narrow your search in the Professionals section of the website to local handyman servicesin Kirkland, WA and read reviews and ratings to find one that fits your needs.